Herdsmen attack Niger village, kill 21 – Royal Times of Nigeria. 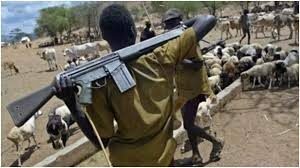 ARMED men suspected to be herdsmen on Saturday night attacked Etogi community in Gbara ward of Mokwa Local Government Area of Niger State and killed 21 people. 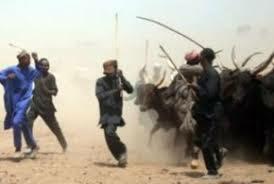 It was learnt that the attack was as a result of an earlier misunderstanding between some Fulani youths and some members of the affected community, which resulted in the death of one Fulani herdsman. According to eyewitness account, the herders, who had maintained a settlement near the community, were offered land to farm on the agreement that they would give a certain percentage to the village head. It was also gathered that the disagreement started when the herders failed to remit the agreed percentage this year, while claiming that the land in question now belonged to them. Irked by the death of one them, the herders were said to have reached out for support from their kinsmen elsewhere and launched an attack on the community’s mosque, when Muslim faithful were praying in the morning. A resident, Mairo Mohammed, said that the attackers killed everybody in the mosque, including the imam. Women and children who were woken by the commotion were said to have fled in different directions. The command’s Public Relations Officer, Bala Elkana, who confirmed the incident, said 20 people were killed during an early morning prayer. Elkana said the attack was a reprisal to an earlier killing of a herder by the villagers. “The killing of a herder was managed but it appears they were not satisfied and decided to retaliate,” he stated. According to him, eight people sustained injuries during the attack and are recuperating in a hospital. He, however, said that riot policemen had been deployed to the troubled community while officials of the Department of the State Services and officers of the command’s Criminal Investigation Department had commenced investigations into the crisis.